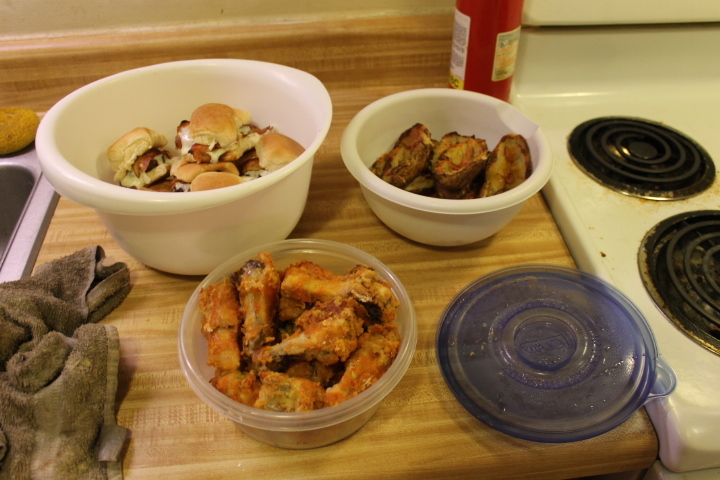 Last year I did a post making my own Super Bowl snacks. And it was a very popular post! 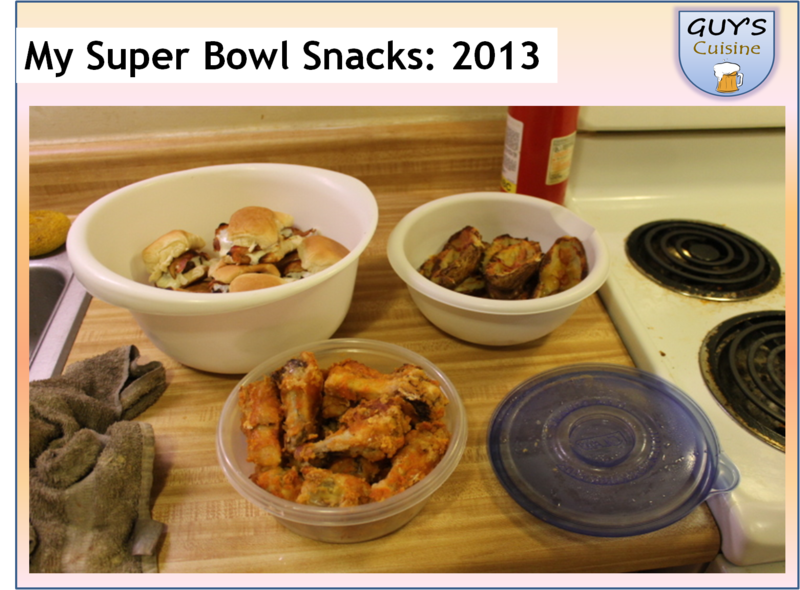 So this year I am back with the 2013 edition of My Super Bowl Snacks. 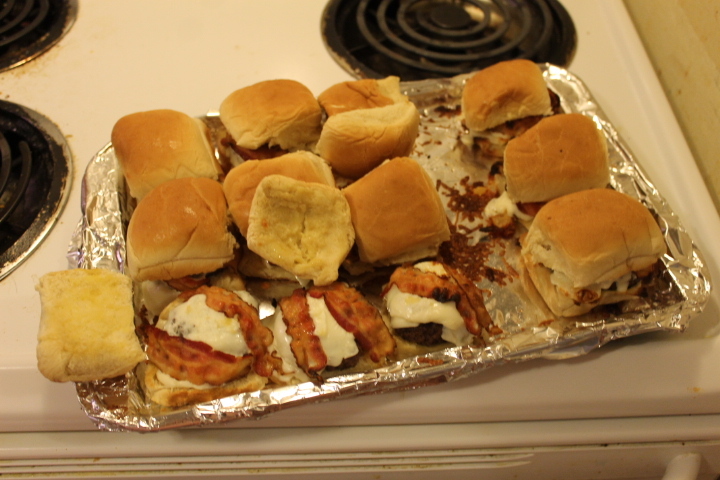 This year I made Chicken Wings, Potato Skins, and Burger Sliders! 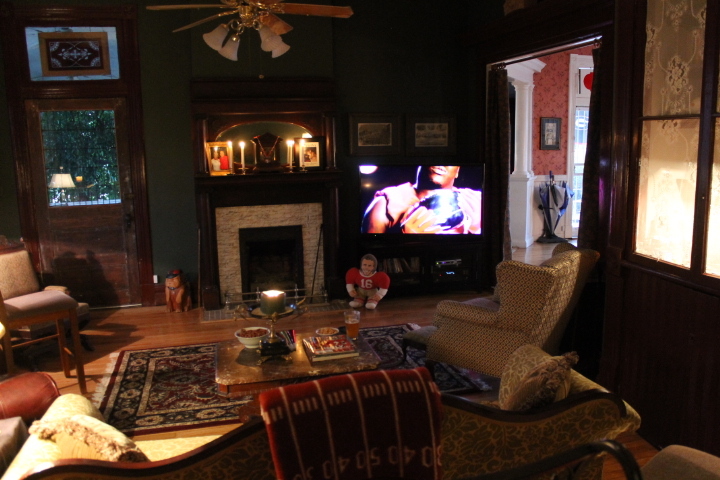 Also this year I went to a Super Bowl party in Anniston. I am happy to say that my food was a hit! Here’s how I made my Super Bowl snacks! 1. Preheat oven to 400 degrees. Line a baking sheet with aluminum foil, and lightly grease with cooking spray. 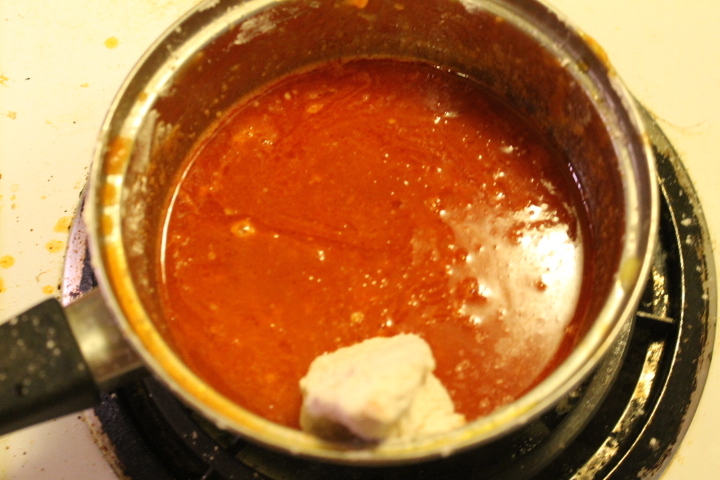 Place the flour, cayenne pepper, garlic powder, and salt into a bowl, and stir to mix. 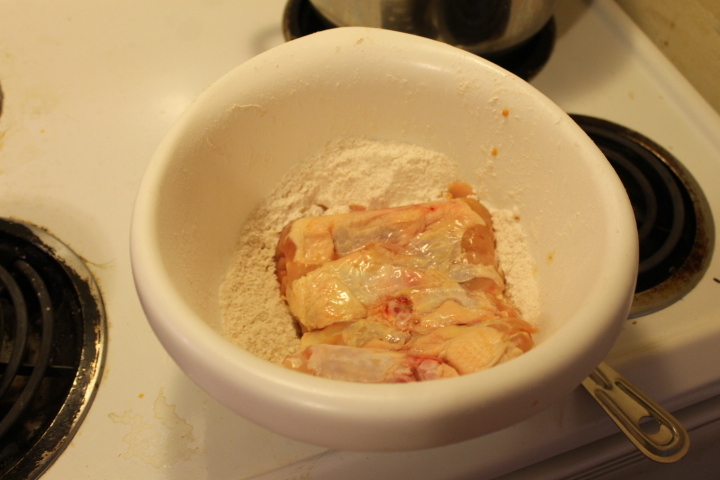 Add the chicken wings and toss until well coated with the flour mixture. 2. 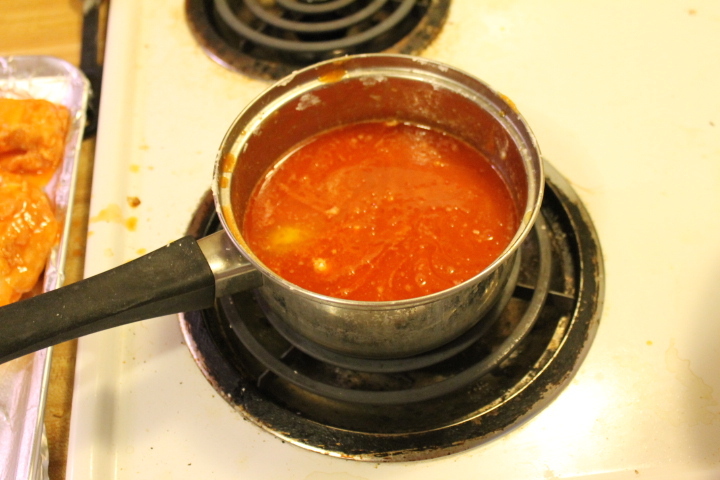 Whisk together the butter and hot sauce in a small bowl. Melt down the butter and stir over low heat. 3. 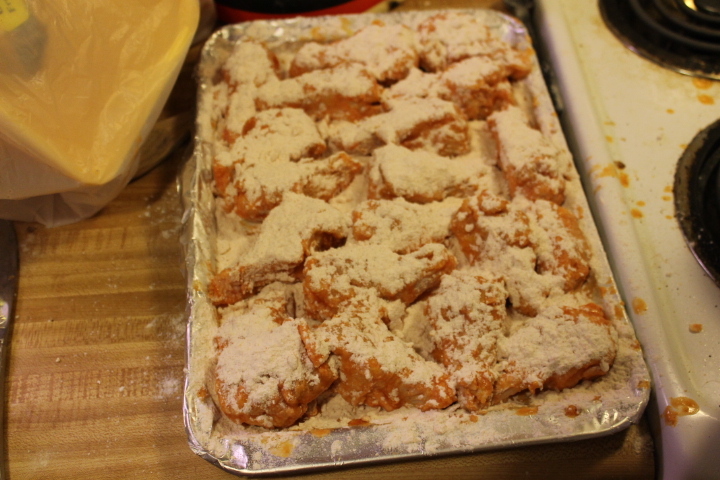 After coating the chicken wings in the flour mixture. 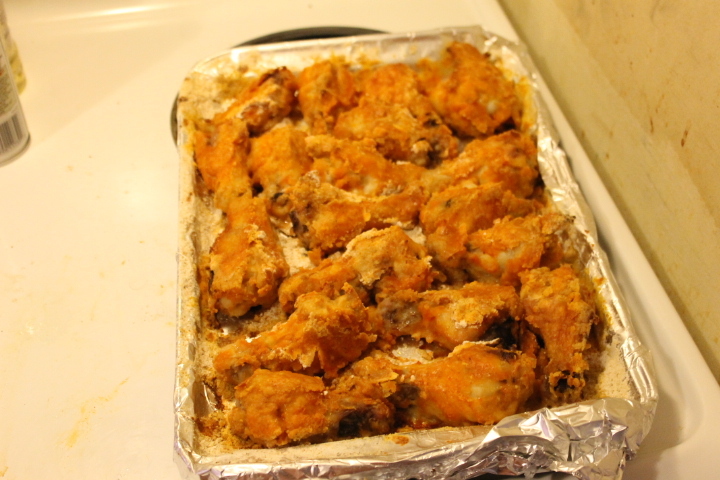 Dip the wings into the butter/hot sauce mixture, and place back on the baking sheet. 4. Bake in the preheated oven until the chicken is no longer pink in the center, and crispy on the outside, about 45 minutes. Turn the wings over halfway during cooking so they cook evenly. 5. Enjoy! Each Chicken Wing had a good kick to them and they were a hit at the party! 1. Split the ground beef into 12 evenly pieces. Form into a small burger patty that will fit in a dinner roll! 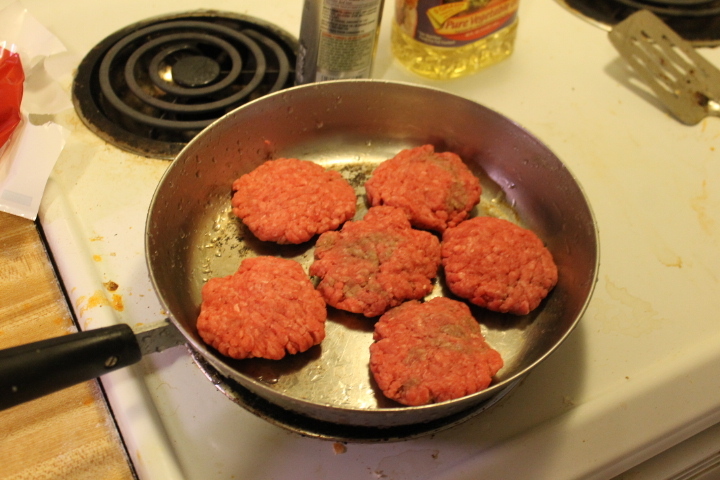 Cook all 12 burger patties and season with salt and pepper! 2. 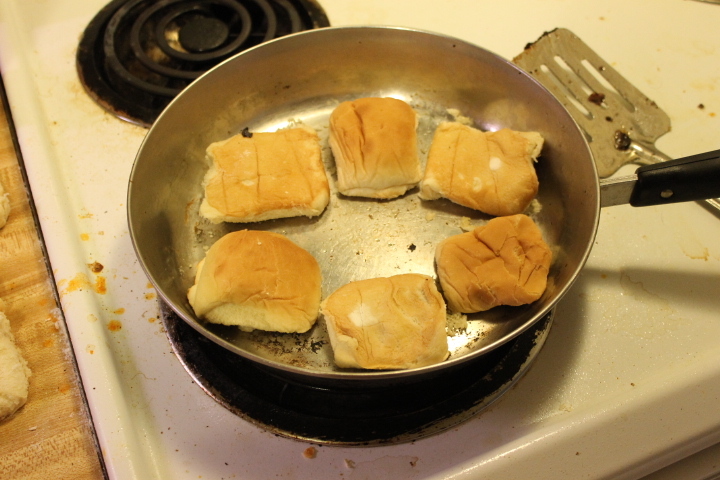 Cut all 12 dinner rolls in half. Spread butter on all rolls and brown. 3. Layer each dinner roll with a burger patty, cheese, and bacon! Place under broiler for 1-3 minutes to warm the bacon and to melt the cheese. 4. Enjoy! You can add any condiments you wish! 1. Preheat oven to 450 degrees. Scrub the potatoes clean then microwave the potatoes on the high setting for about 5 minutes per potato. 2. 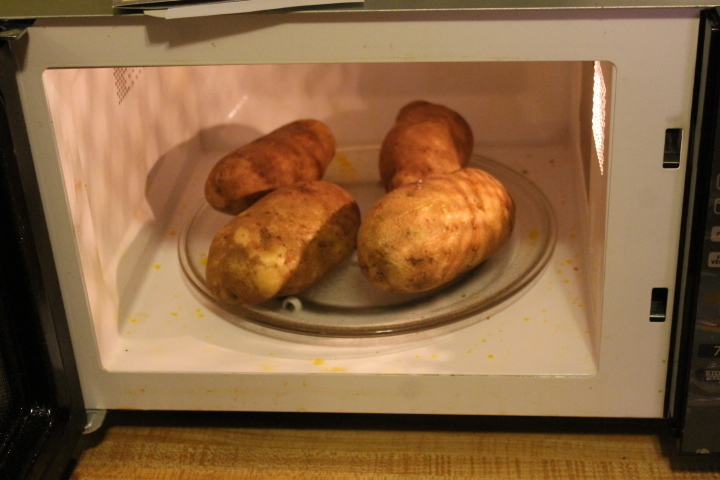 Remove the potatoes from the microwave and let cool enough to handle. Cut in half horizontally. 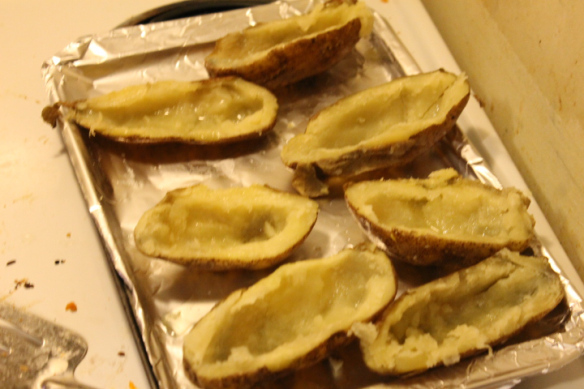 Then use a spoon to carefully scoop out the insides, leaving about 1/4 of an inch of potato on the skin. 3. Rub with olive oil and place the skins on a wrapped baking sheet. Cook for 10 minutes on each side. 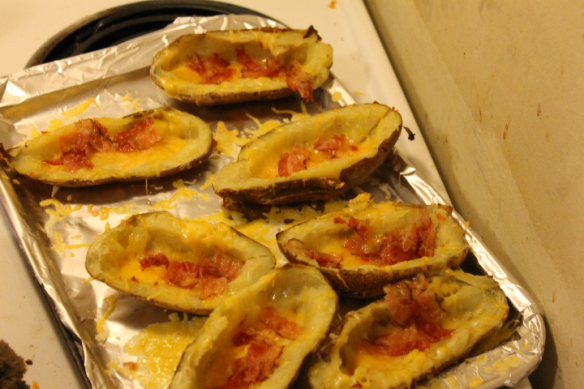 Then put cheese and precooked bacon inside skins. 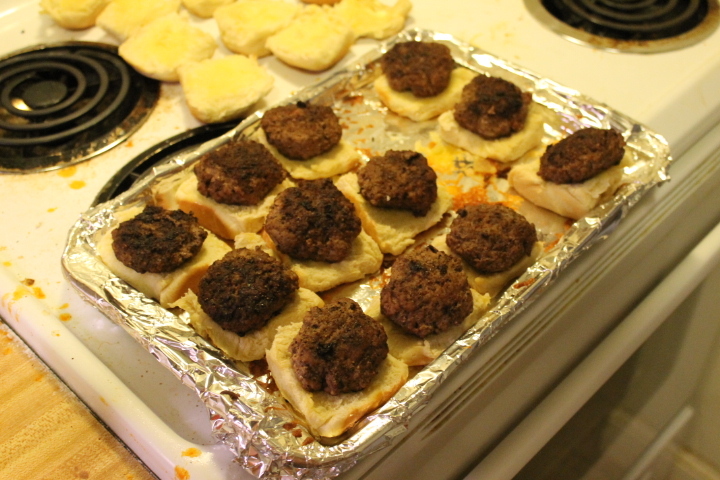 Put under broiler until cheese has melted. Enjoy! 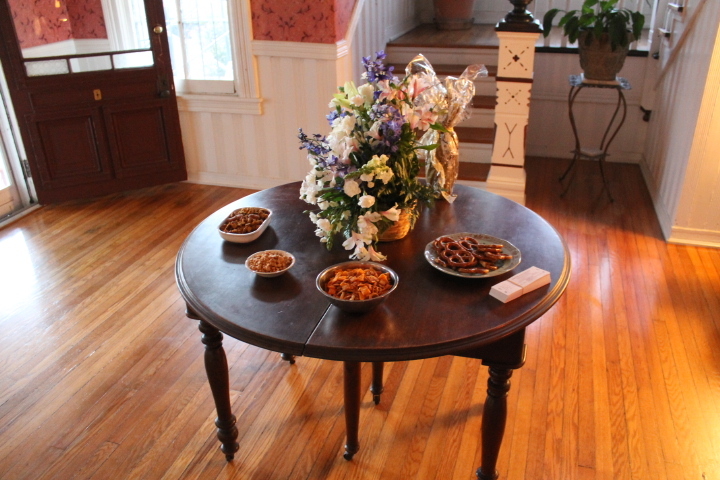 Here is all of my Super Bowl snacks for 2013! 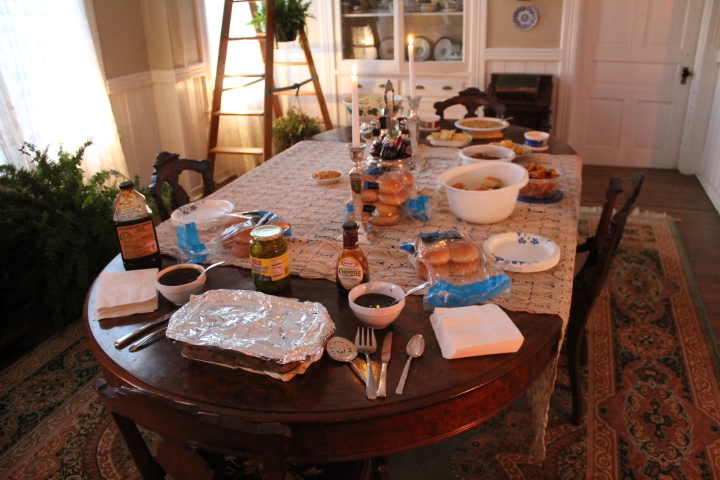 The Chicken Wings, Burger Sliders, and Potato Skins were a big hit! 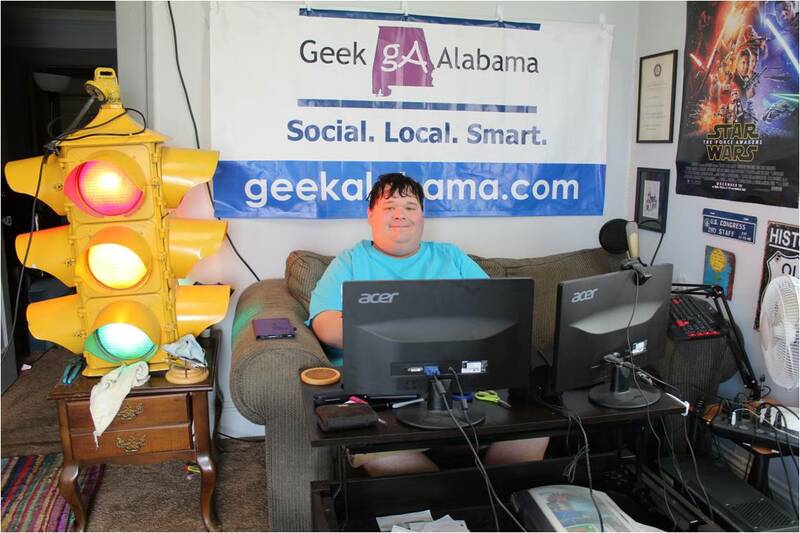 I had fun at the Super Bowl party! All of the food was good and I was happy to see the Ravens win!